As a follow- up from my last Bluum post, my anticipation to receive my first Bluum box has been fulfilled. Before I jump into what we received, in case you are unfamiliar with the subscription box, here is a highlight. A Bluum Box is is just that a monthly subscription box geared towards moms and babies/ toddlers, custom to your little one’s age. 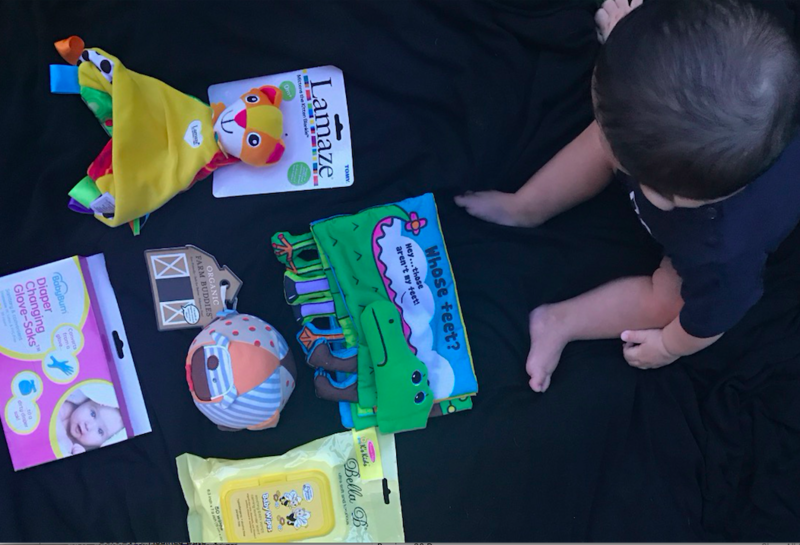 The medium sized bright red box includes an array of hand selected top rated, toxin fee, organic products, toys and books. Bloom’s goal is to make your role as parent easier and exciting while providing full-sized, innovative products to sample. They currently only ship domestically, throughout the US. Overall, I was content. I love the Farm Buddy ball and the Bella B baby wipes. I am not the biggest fan personally of the diaper saks, as I don’t want to add additional trash to the landfields and I myself, prefer simply tossing the diaper and washing my hands afterwards. The Lamaze blankie toy and Whose’s Feet book were cute but the little one specifically is currently into toys that crinkle. So with that, he hasn’t shown much interest. 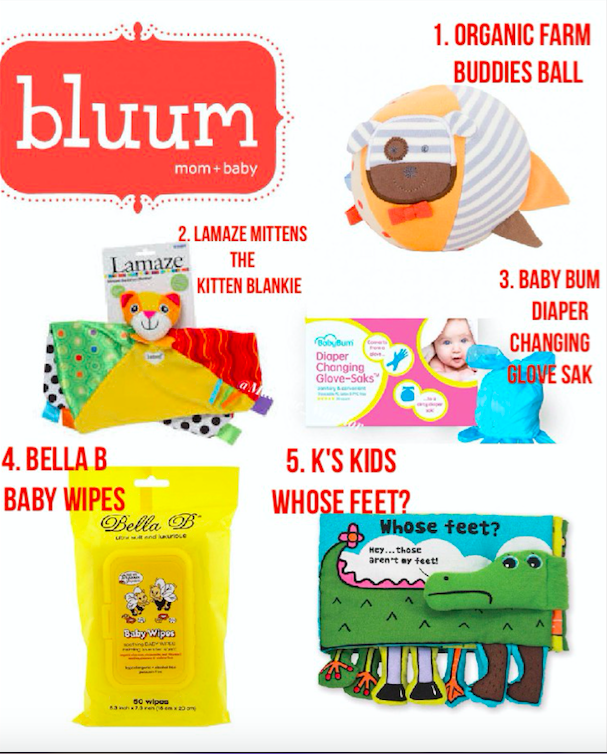 As a new mother of a 6 month old, I like the concept of a subscription box such as Bluum. It gives full sized products to sample. It is difficult enough at times to get out and run errands at times, so the concept of a box with organic products custom to our needs and/ or interests would be perfect. None the less, I wish Bluum would as well provide a quick survey during the subscription process in order to better tailor the boxes. I understand, not do I expect to absolutely love EVERY product in EVERY box, however there are certain products I just wouldn’t use, period. For now, I am going to continue forward with the subscription and give the subscription another try. I am looking forward to what we receive next month. Try Your first Box and Get 30% Off, Discount applies to 6 and 12 month subscriptions.